In the XIX. century, Póstelek was part of the Wenckheim family’s property in Gerla. In 1874, count Károly Wenckheim (1811-1891) lord of the bedchamber, established a village on the east side of his estate, namely Gerla-Póstelek. After the great flood in 1888, it ended being a village, and its area was attached to Doboz in 1889. In 1895, Póstelek got its significance. 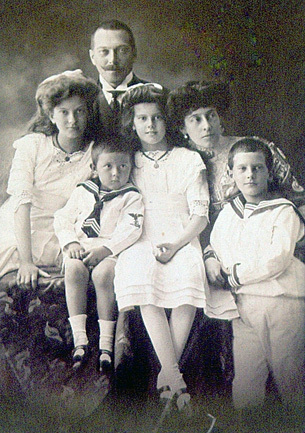 At that time, countess Krisztina Wenckheim (1874-1970), Károly Wenckheim’s grandchild, married to count Antal Széchényi (1867-1924) and she got this area as marriage portion. Széchényi built this mansion. They also established a 14 hectare forest from rare ash and oak trees. A modernly formed park came to it. On the west side of the garden, a pool and boating lake could be found, fed by an artesian well. From the east frontage filling, stairs came down to the 1,5 hectare garden. Besides the gardeners, only the count’s family members and their guests were allowed to enter the park. This garden (as other parts of the estate) was beautiful and delightful. In this garden 600 kinds of roses could be found.